Comfortable and cute, makes the difference. 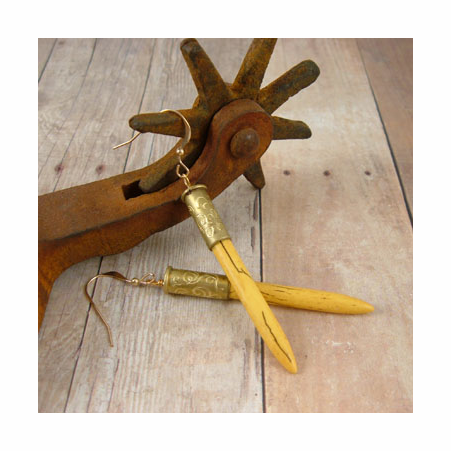 These earrings are made from recycled .22 caliber bullet shells. 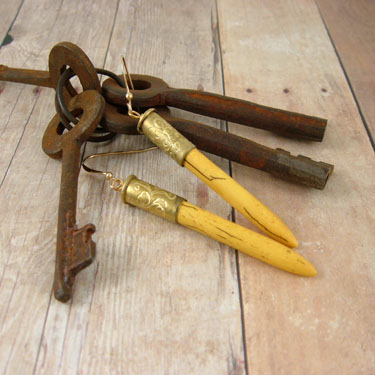 A simple but unique hand engraved design make the bullet casings stylish. 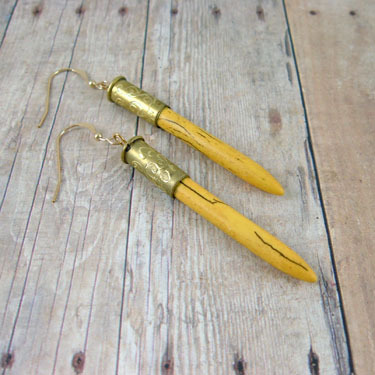 Yellow Howlite Turquoise accents these bullet casing earrings at a perfect length, not too long to catch your collar. 14K Gold Filled not plated, earrings wires keep your ears comfortable and allergy free. 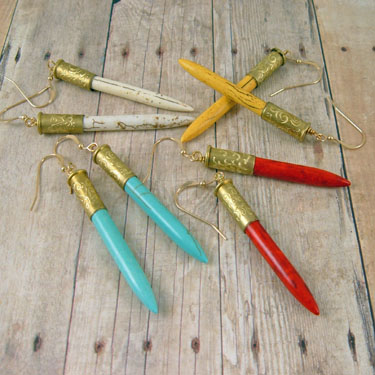 This style of bullet earrings are also available in Howlite Turquoise, White Howlite Turquoise or Red Howlite Turquoise.